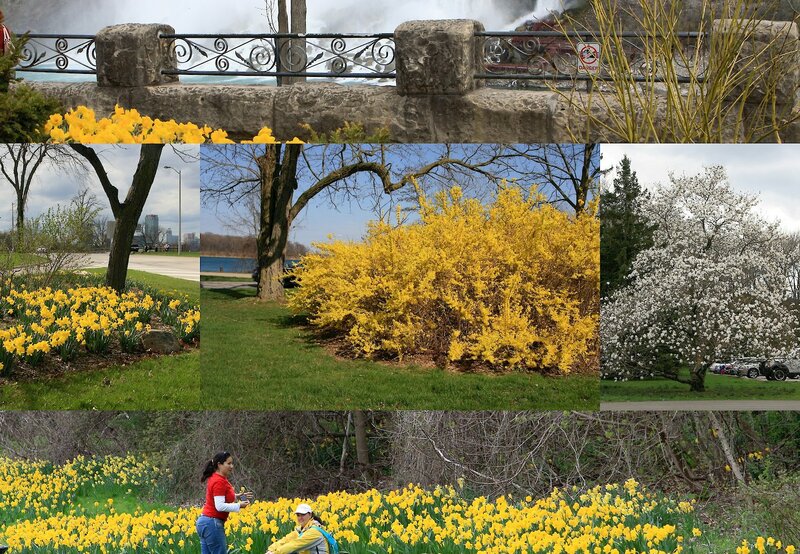 I took a ride along the Upper Niagara Parkway this past weekend towards Fort Erie and was rewarded with the first colourful flowers of the spring. The many trees along this magnificent ride are also starting to bud. Closer to the falls, white and yellow daffodils are everywhere and the tulips look like they’ll soon be joining them. Here’s a montage of some of the photographs I took.